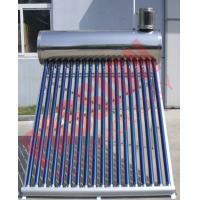 Non-pressure solar water heater of all glass evacuated tube collector integrated with storage tank, are ideal for use in houses and other applications where cheap, reliable hot water supply is required. They are simple, economic and practical. 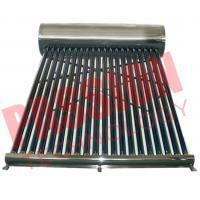 As the specific gravity of hot water and cold water are different, cold water goes downward and hot water goes upward. 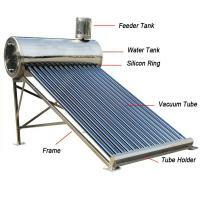 When cold water in evacuated tubes is heated, it becomes lighter and goes to the water tank. 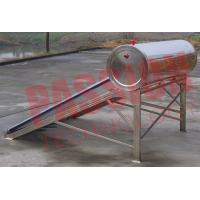 Through this circulation, the cold water in the water tank will be gradually heated. 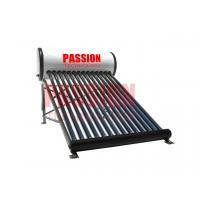 It is installed conveniently and with light weight, and suitable for the territory near the equator where get enough sunlight. 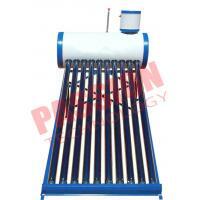 It is suitable for the solar project, widely used in the hotels, schools, hospitals and family, etc. 2. Intelligent controller:automatically controls water refill and startup of auxiliary heating device, more intelligent system operation . 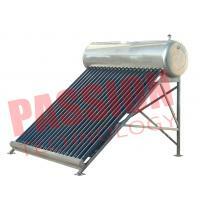 PDF Catalogue of Integrative Non Pressurized Solar Water Heater. 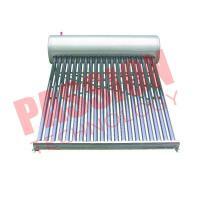 JIAXING PASSION NEW ENERGY TECHNOLOGY CO., LTD. is a manufacturer of Solar Water Heater since 1996. 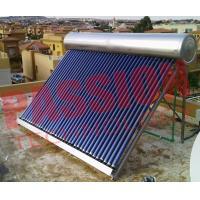 As an experienced company, we can provide the perfect solution for Solar Thermal System. 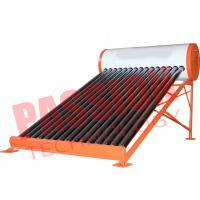 Our products include solar water heater, solar collector and accessories. 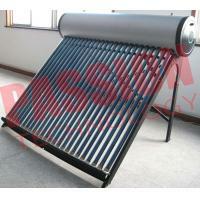 The solar water heater applies to family, underfloor heating, factory, hotel, swimming pool etc. Survive on quality and seek development with prestige. Welcome to visit our factory for friendship and business.